Phil Race has posted a blog post over at the JavaFX Blog on the addition of LCD text support in the latest JavaFX 2.1 developer preview. LCD sub-pixel text has become a must-have for many Windows desktop users, who have become accustomed to its superior legibility and less blocky appearance at smaller point sizes over hinted black and white text, and being sharper than grey scale anti-aliased text at the same size. Java SE has supported LCD subpixel text on AWT heavyweights and also on Swing components using Java 2D for many years. However up until now, JavaFX has supported only more Mac OS X-like grey scale smoothed text. For the JavaFX 2.1 release we’ve added the ability to use Windows-style LCD sub-pixel rendering. All the JavaFX UI controls will be LCD-text enabled by default on Windows, as will “WebView”, the Webkit-based node for rendering Web content. It’s another week, so another developer preview release of JavaFX 2.1 is out for Linux, Mac OS and Windows. This week we are up to build 10. With the availability of JavaFX 2.1 developer preview builds for Linux, a number of people and news websites covered this. For example: Weigi Gao, Jaxenter, and H online. Jasper Potts has put up two blogs posts here at FX Experience. 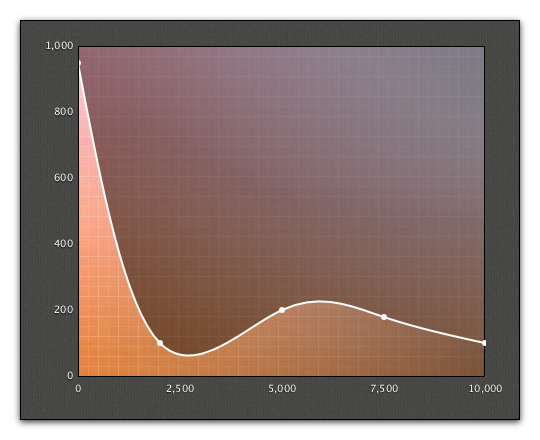 The first post discusses his work on extending the PathBuilder class to include more convenience methods, and secondly he has a post about extending the charts code shipped with JavaFX to apply curve fitting. Speaking of the builder classes shipped with JavaFX, Michael Heinrichs, a member of the JavaFX team, has put up a post about the advantages of the JavaFX builder APIs. Kevin Farnham put up a blog post over at Java.net about getting started with the JavaFX 2.1 developer preview on Linux. Dustin Marx talks about the @DefaultProperty annotation used in the JavaFX APIs, and what this means for you when building user interfaces with FXML. The GroovyFX library now has a new website. Thierry Janaudy has a blog post showing how to put a pie chart inside a TableView using a custom cell factory, whilst programming in Scala. Sébastien Bordes has a post detailing how to build and package JavaFX application with Maven. Narayan has blogged about the ‘include’ and ‘define’ tags in FXML. Yet another DatePicker control has appeared, pushing my count to at least five such controls. This week it belongs to Altuğ Uzunali. I came across the interesting blog “JavaFx and HTML5 differences” by Chika Okereke. Looking at the example code and comparing to the HTML Canvas version I thought the Java code could be made less verbose and easier to read. So I hacked together a Extended version of the PathBuilder that ships with JavaFX 2.0 adding methods for all of the path elements like moveTo() etc. The end result seems much cleaner code to me, what do you think? This seemed a lot cleaner and simpler to read. I have filed a feature request RT-19266 in JIRA to add this to the platform. Feel free to comment on the bug if you any feedback or better suggestions. Also I have attached a implementation of this builder to the bug so you can see how it would be implemented or use it with your code today. JavaFX 2.1 developer preview build 09 has been released. For the first time, this release includes support for Windows, Mac OS, and Linux. You can read a bit more about this here. Amy Fowler’s “Interface Layout with JavaFX 2.0” JavaOne talk is now available on Parleys. Tom Schindl has created a SVG to FXML converter, which he plans to include in a future release of his e(fx)clipse project. Yet another JavaFX calendar control has been developed, this time by Christian Schudt. The control looks very nice and should be very useful to people needing this kind of functionality in their applications. Chika Okereke has put up three blogs posts about the JavaFX PDF support. The first two posts are about the NetBeans support, and then news about the latest release containing a few improvements. Dustin Marx has two blog posts this week. Firstly, he demonstrates FXML by porting one of his previous applications to use it, and secondly he reviews the “JavaFX 2.0: Introduction by Example” 2.0 book by Carl Dea. Thierry Janaudy has put up a blog post showing how to use the JavaFX TableView control in a GUI using Scala. Toni Epple has reviewed the JavaFX support in the latest 7.1 release of NetBeans. Sai Predeep Dandem has blogged about creating sliding effects (like those seen in the TitledPane control). Jim Weaver has put out a sample app that will be getting discussed in the upcoming Pro JavaFX 2.0 book. William Antônio Siqueira has blogged about the DataFX project, demonstrating how easy it is to get data into a JavaFX TableView control.